7 Cu. 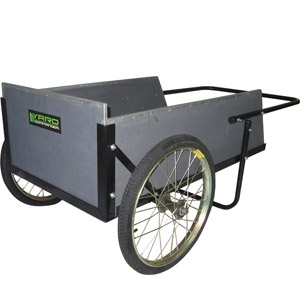 Ft., Heavy-duty wood push farm/yard cart. 300 LB load capacity. Lift out front panel for easier dumping. Assembly required.